TASTE has helped a number of communities in the last year or two. 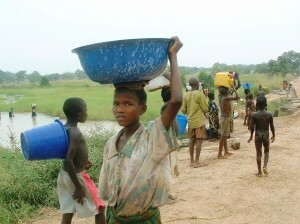 The community featured above is in Jemkur, a part of the Plateau where there is a lot of poor quality water in the rainy season but absolutely none during the dry season. 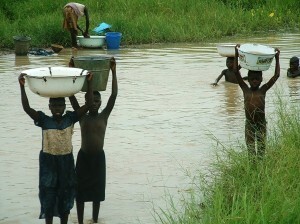 In some years, the community has simply left everything and gone and lived elsewhere where they can find water! 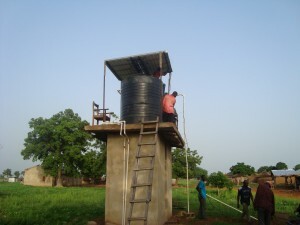 The British High Commission funded the development of a solar powered borehole that pumped water into overhead tanks so that water could be piped to a number of stand pipes. Something of an improvement don’t you agree? From time to time, we’ll post details of recent projects so that you can see where your support is going. But one theme will remain constant, your support will be making a difference – quite literally a life changing difference – in the lives of thousands of men, women and children. Sometimes we work alone on our projects and sometimes we have partners. In recent years, we have been partnering SIM City Ministries, who work with widows and street kids in all the major cities of Nigeria. What’s been happening in Langne?